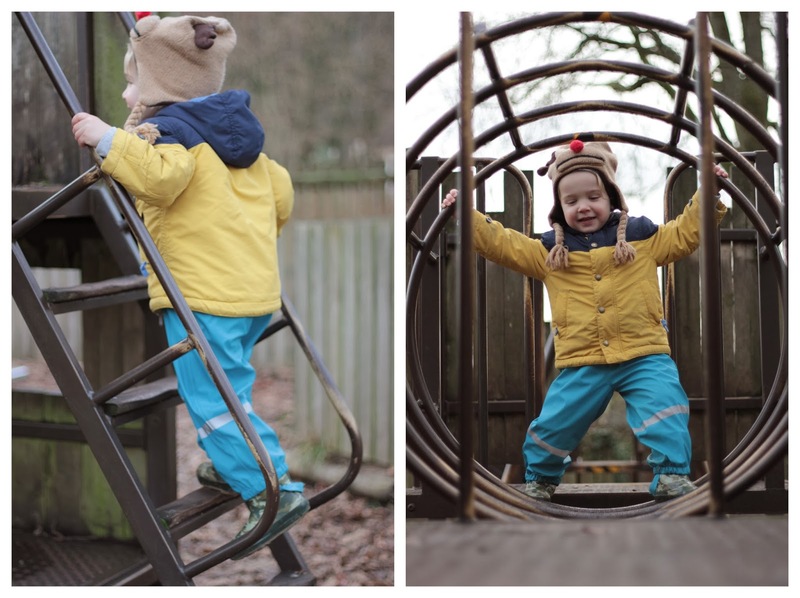 I often find myself looking at Mr A in amazement, he is learning so much everyday and his confidence in his own ability has sky rocketed, I really cannot believe how much my little man is growing up and becoming the strong headed individual that he is. He was real due for a new fleece lined jacket as we were still using last years and with a sudden growth spurt it was time to update, I waited for the sales and managed to pick up this waterproof high tech outdoor jacket from Mountain Warehouse for half price - so instead of £70 it was £34 win win and I cannot get over how grown up he looks in it and I can only imagine all the adventures we will have in it. This combined with his Ocean waterproof suit and we are ready for anything. As soon as I showed the little man the jacket, it was on and we were out the door. Taking the dog for a walk down the local cycle track. It was a very cold afternoon but with his thick new coat with a detachable fleece inside he was warm and toasty - now I just need one for me as my jacket has seen better days. It is really exciting seeing him tackle jungle gyms and parks he could not do before, of course he still has the odd slip and fall and learning by trial and error but his enthusiasm to due everything on his own is exciting and scary for a parent although of course I never let him do anything beyond his ability. 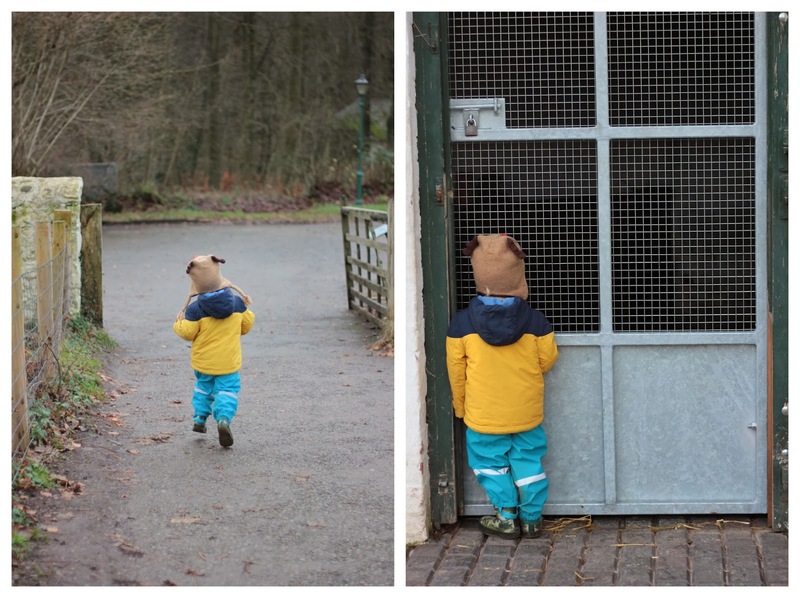 We managed one last trip to St Fagans before New Years and we always avoided the kids play park as everything was too big for him but for the first time he is able to take on some of the smaller obstacles. Of course we also had a sneak peak to see how the piglets were doing down at the farm, they are growing so fast, just life him. 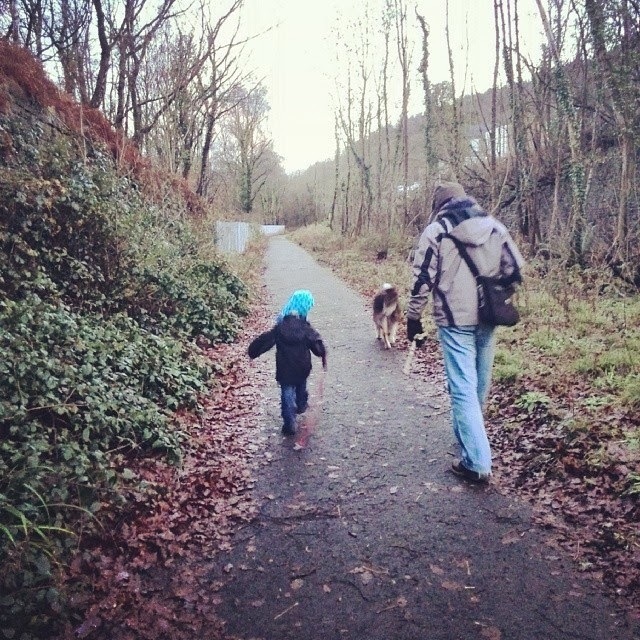 I have joined this in with Country Kids linky - a linky for families who love spending time outside. One of the joys of parenthood - watching our children grow and develop is so rewarding. It's amazing the progress they make and their ability to tackle situations and test their agility and strength. 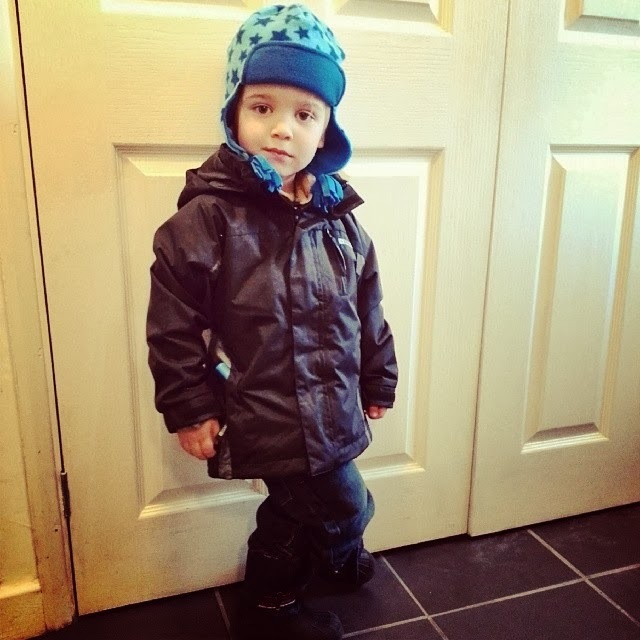 As you say with his new waterproofs and fleece jacket to keep him snug I'm sure that he will have lots of outdoor fun and adventure. Happy New Year to you all and thank you for sharing your lovely photos with Country Kids. Very cute! Sounds like an amazing experience to watch him grow.